The International Solar Alliance (ISA)—India’s landmark push to popularise sola­r energy among countries between the Tropic of Cancer and Tropic of Capricorn (which hold good potential for solar power)—is set to become a legal entity on December 6, according to Indian representatives attending COP23 at Bonn. The ISA was launched jointly by Indian Prime Minister Narendra Modi and the then French President Francois Hollande during the COP21 in Paris in 2015. Of the 121 potential signatories, 44 nations—predominantly from Africa, Latin America and the Pacific Island nations—have so far signed the ISA framework agreement. Fifteen of these, including Bangladesh, Ghana, Niger, Fiji, Somalia, South Sudan, India and France, have ratified the agreement while two documents of ratification, from Sudan and the Togolese Republic, are expected to be submitted in the near future. The number of ratifications required for the agreement to enter into force is 16. "The ISA is going to be a legal entity on December 6. 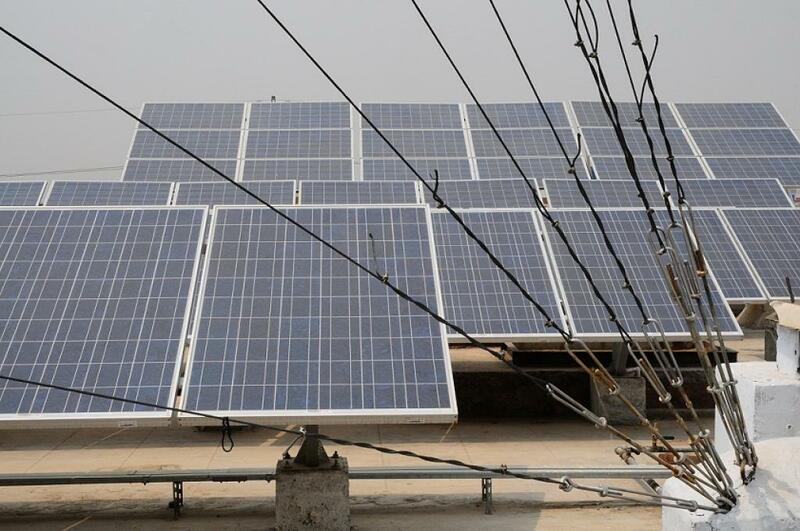 The plan is to generate 1,000GW of solar energy by 2030 in countries that have joined the agreement additional to their own domestic commitments and plans,” said Anand Kumar, secretary in India's Ministry of New and Renewable Energy. The first global summit of the partners of ISA was earlier planned on December 9 this year, but later postponed to early next year due to the unavailability of French President Emmanuel Macron in December, Indian officials informed. The second edition of the Global Renewable Energy Investors Meet and Expo - RE-INVEST 2017, in which, France partners with India, has also been postponed to the third week of April 2018. It was slated to be held in Noida this December. The main objective of the Alliance is to unlock energy finance, technology and infrastructure required to reduce the costs of solar energy in countries with high potential for solar energy. “The ISA will be critical in meeting the needs of energy access and offering solutions to cut transmission losses. I would say that it is at the core of sustainable development strategies,” said CK Mishra, Secretary of the MOEFCC. The ISA has been presented as a programme that could help in mobilising funds to shift to solar energy that could cost thousands of billions of dollars by 2030. The 1,000 GW plan is in addition to India’s own plans to create 175 GW of renewable energy capacity by 2022, of which 58 GW has been achieved so far. By 2030, the plan is for renewables to occupy at least 40 per cent of India’s energy mix. The Indian government has also pledged to spend $21 million in the venture between 2016 and 2021, which includes setting up of the headquarters in Gurugram. However, it must be noted that there is little clarity on how exactly the ambitious target of 1,000GW was arrived at or how it will be reached. Interestingly, secretary Mishra has also made it clear that developmental imperatives in India will take precedence and coal will be a part of the energy mix pursued by the country that is still trying to bridge its energy access gap. “Development imperatives cannot be written off and need to be emphasised for countries like India where coal is still a cheap source of energy. But the ISA will form an important part of India’s effort at arriving at a cleaner and more suitable energy mix. Simultaneously, we shall also look at better and cleaner use of coal but not with high-tech solutions,” he said. Currently, the capacity of solar power installed in the world is between 295 and 308 GW, while for India, this number lies between 9.3 and 9.9 GW, according to the latest statistics from 2016 published by the International Renewable Energy Agency (IRENA) and the REN21 Renewable Energy Policy Network for the 21st Century in their 2017 renewable energy status reports.